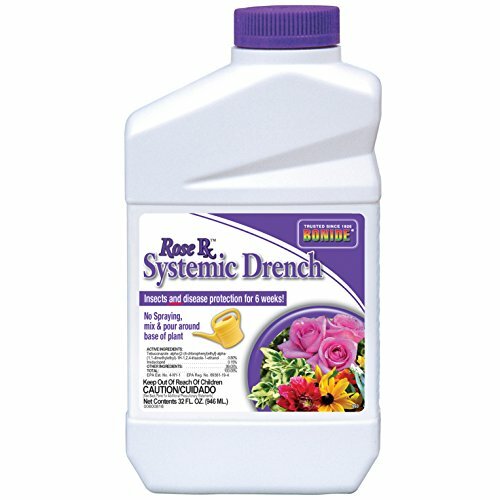 Quart, Concentrate, Rose Rx Systemic Drench. Dual action insect, and disease protection. Protection lasts up to 6 weeks. Apply as a drench, and no spraying is required. 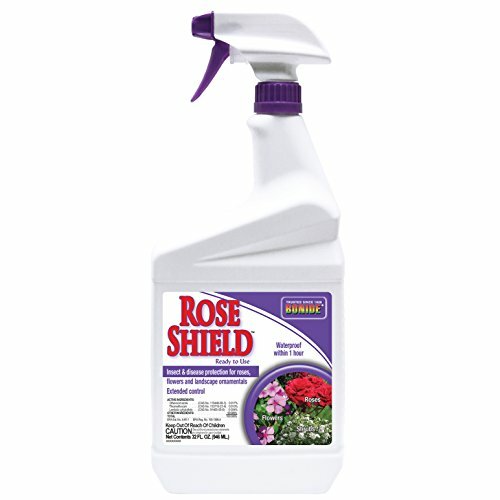 Protects the entire plant including shrubs, roses, and annual plants. Will not wash off during watering or rain. 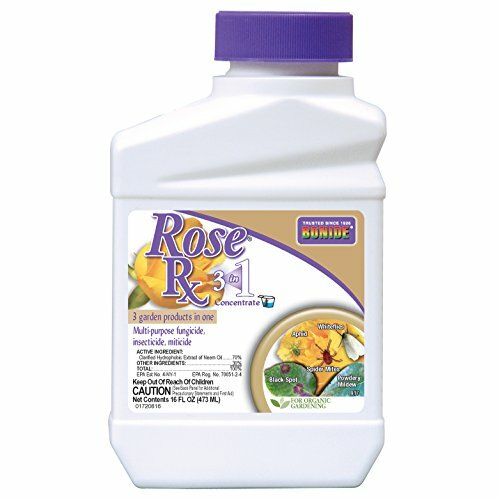 Rose Rx, PT, Concentrate, Rose Care. 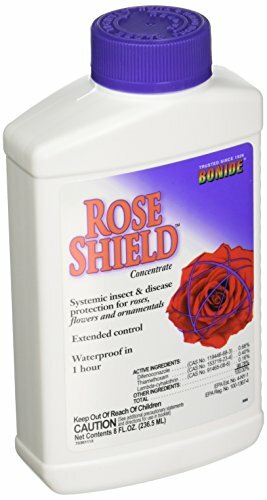 Kills insects, and mites while also controlling common rose, and floral diseases. 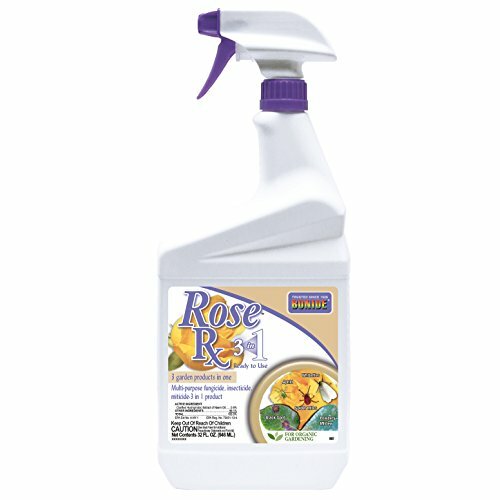 Contains all natural ingredients that are USDA approved for organic gardening. Easy on beneficial insects. Contains neem oil. 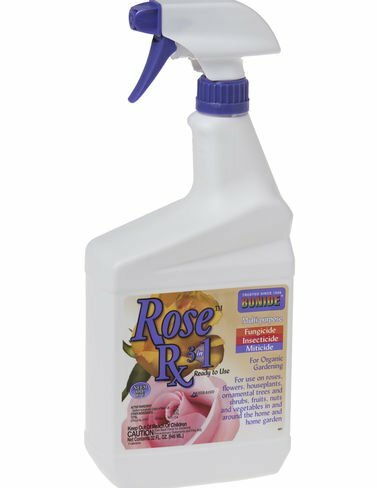 Can be used indoors, and outdoors on roses, flowers, fruit, nuts, vegetables, herbs, houseplants, shrubs, and trees. Excellent to use as an all purpose natural plant care. 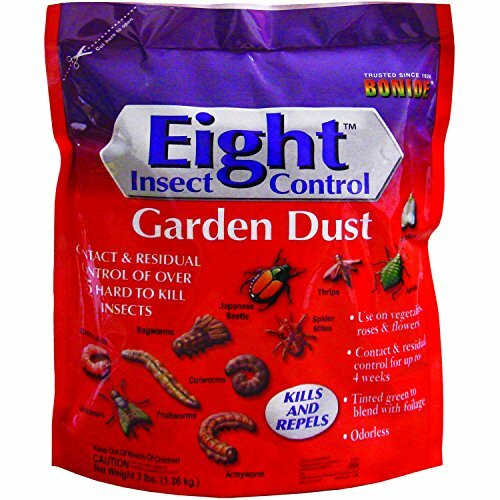 Bonide 786 eight insect control garden dust pest control eradicates over 55 listed types of garden insects. 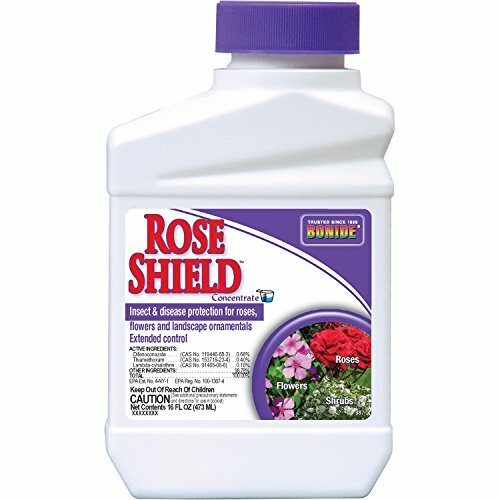 one application controls pests for up to four weeks. odorless. 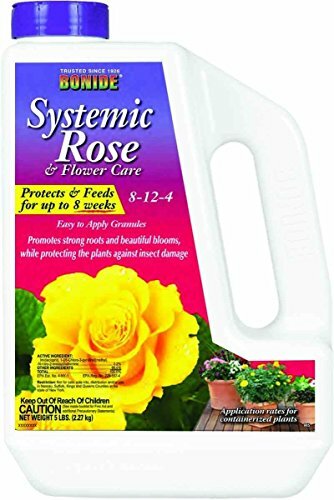 for use on vegetables and flowers. ready to use.